DIANA-based detection kits are used for a sensitive detection of proteins (enzymes, receptors) as well as small molecular compounds (e.g. hormones) in blood or other clinical samples. It offers superior sensitivity and selectivity with very wide dynamic range and very low amount of sample required. 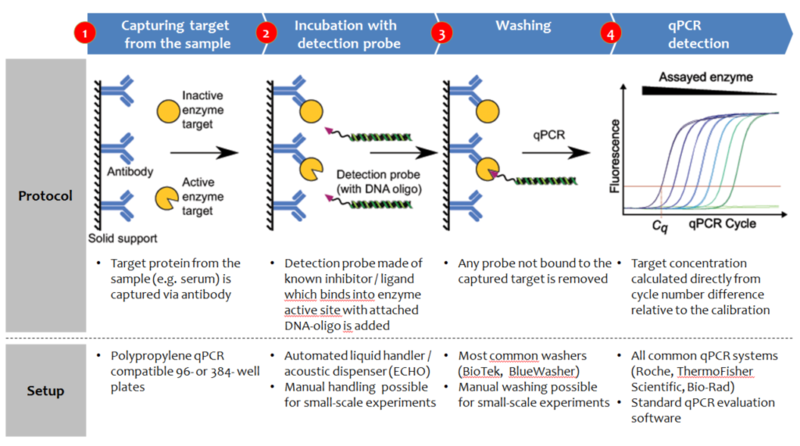 Detection kits are composed of antibody coated 96- well plates, detection probe, target protein standard and buffers. Such kits could be CE IVD certified to allow use in clinical diagnostic facilities. DIANA can be also used in R&D laboratory setting, in experiments where other assays are not sensitive enough to quantify the target protein. Interested in using DIANA to quantify your target protein? 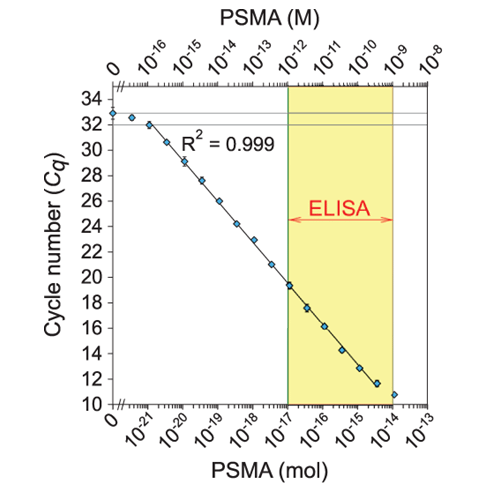 Assay can be promptly developed on demand for majority of relevant protein targets - including those which are difficult to detect with sufficient sensitivity by other methods. 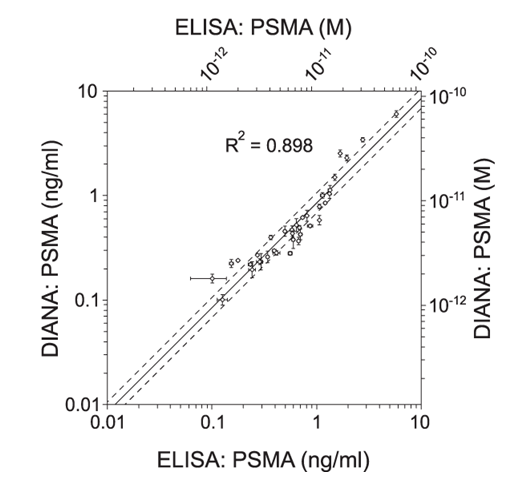 Highly sensitive and quantitative DIANA PSMA detection assay available either as a quantification service or in a format of easy-to-use detection kit.